Nowadays, most HDTVs, tablets, laptops are able to play back videos from a USB Flash Drive. In case you have one of these devices, you might be wondering if there is a way to get your movies from DVD to USB Flash Drive. Even though this process can be time-consuming, it will be well worth it when you want to enjoy your favorite movies more conveniently. In fact, it is easy to backup your favorite movies from DVD to USB Flash Drive as long as you got a DVD Ripper in hand. There are many programs out there that allow you to make copies of your DVDs and let you watch them the way you want to view them. If you're confused about choosing a suitable one, here EaseFab DVD Ripper is highly recommended. The process is straightforward and a mass of preset formats are built for output. CUDA acceleration will bring you fast conversion speed and it's capable to converting DVD discs to digital video files without quality loss. What's more, it also supports backing up DVD without losing any data. 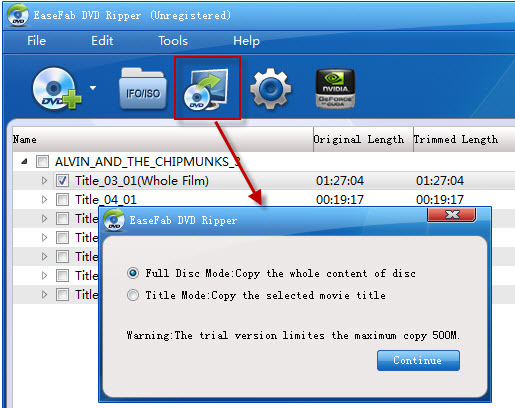 If you are a Mac user, you can turn to EaseFab best DVD ripper Mac (Yosemite and Mavericks included), which has the same function as the Windows version. This quick start guide takes DVD Converter Windows version (Including Windows 8/8.1/10) screenshots as an example. The method to convert DVD to USB Flash Drive on Mac is the same. All that you should take care is to download the right version according to your situation. 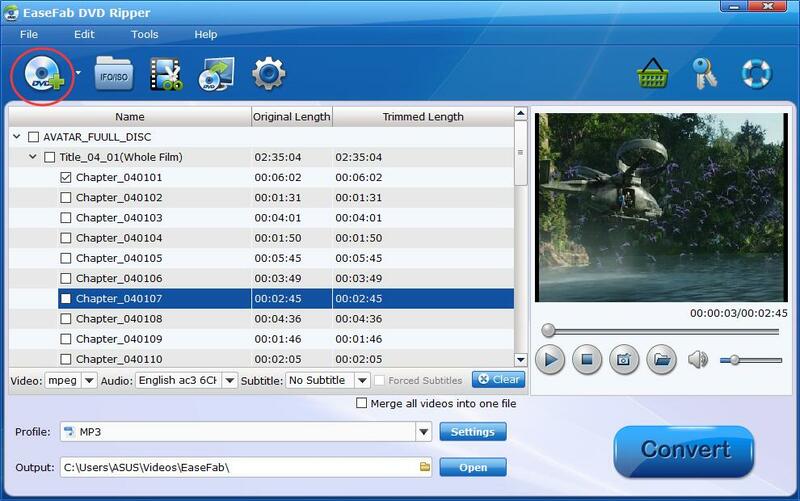 Launch the program and click Load DVD: Load DVD Folder, Load ISO Files or Load IFO files to import the DVD movies you want to rip. Select an Android friendly format, e.g. H.264 .mp4 for conversion. Basically the "Common Video" > "MP4 Video" is an universal format for almost all multimedia devices. Of course, you can choose WMV, MOV, AVI, etc. according to your needs. Tip: If you are not satisfied with the default video/audio specs, click "Settings" to adjust video seize(pixel), frame rate, bitrate (the higher bitrate, the larger file size and better video quality), or audio settings. Keep in mind that bitrate higher results in big file size, and lower visible quality loss, and vice versa. Click the big "Convert" to start converting DVD to USB Flash Drive as AVI, MP4, FLV, WMV, MOV, etc.. After conversion, you can click "Open" to find the converted files. Now you can successfully rip and backup Copy Protected DVD to USB Flash Drive Up to the format you wish. Besides ripping, the EaseFab DVD Ripper also offers enough freedom for all DVD movie lovers like you to back up your favorite DVD movies in a personalized way. Two different copy modes: Title Mode and Full Disc Mode are provided to let you copy the exact movie part you want. Just the selected your wanted one.